The Carthage Men’s Golf Association is ready to kick off 2019. This is your invitation to join the largest Men’s Golf Association in Southwest Missouri! Tuesday Men’s Night an opportunity to play a different event every Tuesday night beginning 4/16. Sign up by noon on Tuesday through the Carthage Golf Course pro shop. We draw for teams at 5:15 and have a shotgun start at 5:30 pm. This is open to all male golfers. CMGA Members receive a $5 discount on entry fees. Meet new people! Create new friendships! Enjoy your time on the course! Sign up individually. Teams are drawn from player pools based on handicaps or known ability. 14 events on the CMGA Event Schedule. Play one or play them all! A variety of events…competitive events as well as some hit & giggle events. Stroke Play, Match Play, Scramble, Net…a lot of variety. Download the form and schedule HERE! Special Friday Night Events spread out from May through September…Shoot Outs, Par 3 Tournament, 3 Club Tournament etc.! An opportunity to be the CMGA Player of the Year or the CMGA Senior Player of the Year! The CMGA has a points-based system where players earn points for finishes in all CMGA sponsored events. CMGA Member-only and the CMGA Championship events have added points value as well. The best part is the camaraderie and friendship with all of the players in the CMGA. New friends, new golf groups and golf invitations. 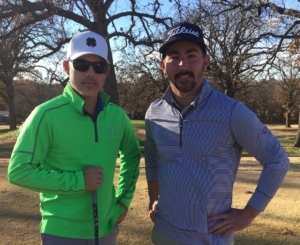 It is a great way to seek out some buddies who want to do the same thing as you…play golf! It all kicks off on April 6th Download the information HERE! 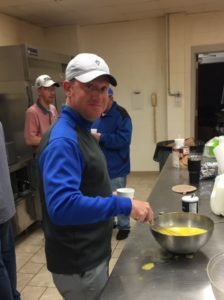 CMGA Opening Day Breakfast and Four Man Scramble! * Please bring your completed 2019 membership form. * Our CMGA President and Vice President will outline the tournament/event schedule and answer questions. * How to post scores for your GHIN Handicap! * Draw for 4-man teams based handicap or known ability. * The range will be available with balls out at 10:00 AM. * $15.00 entry fee plus applicable golf course fees. 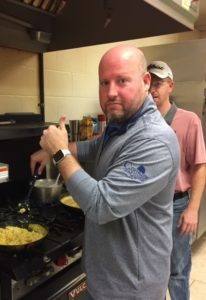 * If unable to attend the breakfast, you may contact the golf course to sign up for the tournament prior to Friday the 5th. * If weather conditions prevent play of the tournament, we will still have the breakfast and discussions on rules and handicaps. https://www.carthagegolfcourse.com/wp-content/uploads/2019/03/CGC_4-smaller.jpg 319 583 Carthage Golf Course https://www.carthagegolfcourse.com/wp-content/uploads/2016/12/Carthage-Golf-Course-logo-300x162.png Carthage Golf Course2019-03-21 13:59:312019-03-21 22:33:362019 Carthage Men's Golf Association...Join Us!